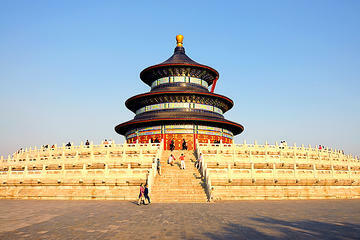 The Temple of Heaven: is a complex of temples and shrines completed during the Ming Dinasty where the Emperor would come and pray for a good harvest. 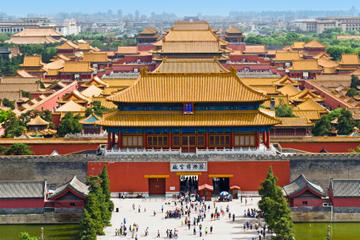 The Forbidden City: is a huge complex and China's most spectacular architectural structure. 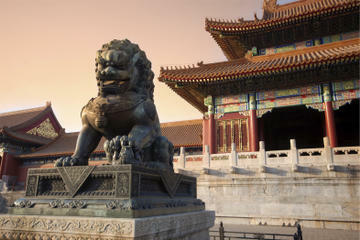 It was home to 24 emperors in two dynasties. Tian'anmen Square:is the world's largest square. Kids will enjoy flying kites here. Beijing Hutongs and Drum and Bell Towers: The Hutongs are the old traditional alleys. 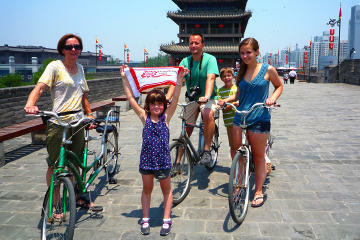 Enjoy a rickshaw ride and experience Chinese traditional life. Beijing Zoo: great place to see Giant Pandas. The Summer Palace: This was the Emperor's Summer retreat. Kids enjoyed the dragon boat ride in Kunming Lake. Beijing Olympics Village: The Home of the 2008 Summer Olympics Games. Kung Fu Shows at the Red Theatre: For some action-packed entertainment and a glimpse of these ancient arts. The Great Wall of China: There are many sections of the Wall accessible from Beijing. 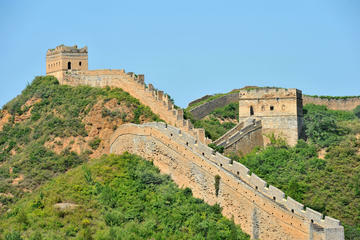 Click on our Great Wall of China Map to see some of the most popular locations open to visitors.